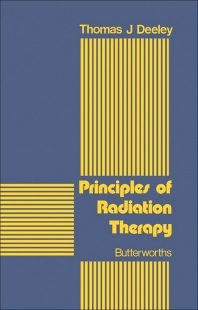 Principles of Radiation Therapy presents the applications, limitations, techniques, and results of treatment and possible complications of radiotherapy. This book discusses the general principles of the treatment. Organized into 15 chapters, this book begins with an overview of the aspects of the study of malignant disease and the experience needed by the radiotherapist to function fully as a clinical oncologist. This text then describes briefly the experiments and discoveries of Marie Curie and Wilhelm Konrad Roentgen. Other chapters consider the fundamental physical principles underlying the use of ionizing radiations. This book discusses as well the aspects of treatment using external beam therapy, the machines used, the method of planning treatment, as well as special features of the treatment. The final chapter deals with the effects of radiation on tumor, the normal cell, the tissue or organ, and on the whole body. This book is a valuable resource for radiotherapists, epidemiologists, pathologists, clinical oncologists, nurses, and medical students.